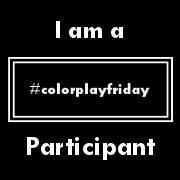 Hello and welcome to Color Play Friday! 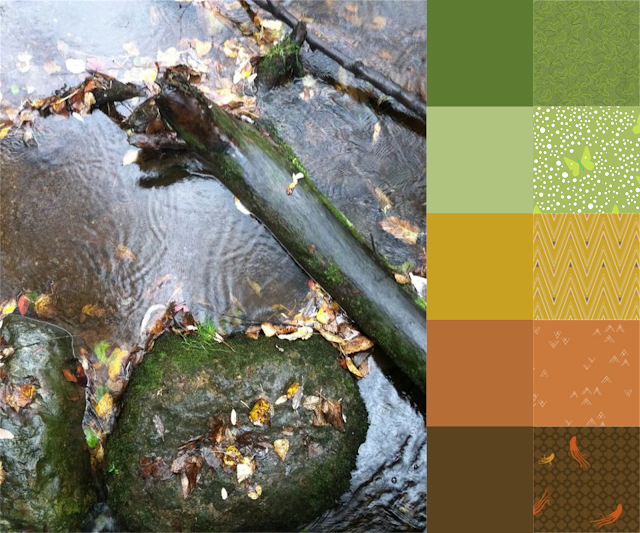 This week's photo is called Salmon Creek. Well... everything about this photo is foreign to me. I grew up in the desert where creeks are non-existent and fresh fish is hard to come by. So yeah, Salmon Creek. Look! It's water, how novel! 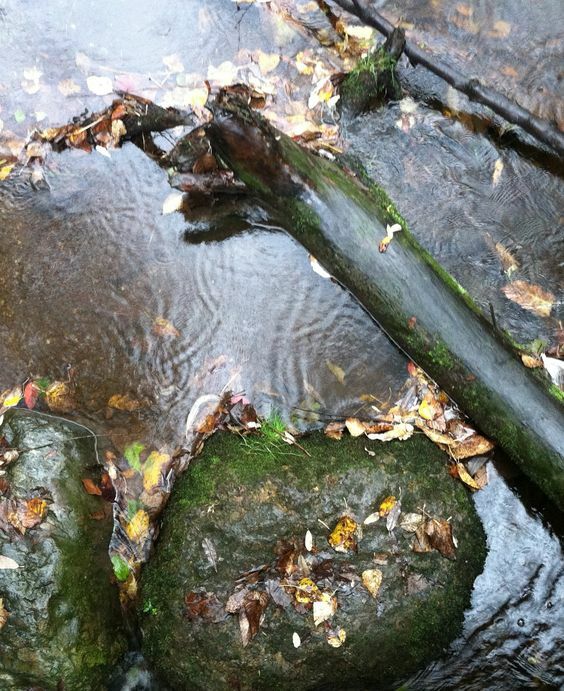 I imagine that this little creek is running through a forest where the air is cool and smells of organic, leafy freshness. I can also picture a bear just waiting for a yummy, unsuspecting salmon to swim on by. I love that this is another earthy bundle. I used the Lizzy House butterflies again this week because they were just too perfect not to use. They hint at the wildlife that you'd find in the area; as does the Mendocino print. I always struggle with orange prints but I think I managed to pull all these fabrics together without them looking to Halloween-y. NOTE: These fabrics are not to scale. I believe that Mendocino print is very large compared to the others. I shopped at Hawthorne Threads again this week. It's funny, this is so a part of my life- creeks, lakes, ponds and various wetlands everywhere you turn! We did have a bear along the creek several years back, but it's not normal to see one near the neighborhoods. I love the retro feel of your bundle- it's like a modern take on the iconic colors of the 70's! Oh wow. I didn't even see the retro 70's color scheme but now that you mention it that's all I see! Funny how that happens. A scene like that is familiar to me also. Lovely collage! I really like your take on the picture, great fabrics.